The Russian Meteor trails over Chelyabinsk on February 15 (Credits: Yekaterina Pustynnikova/Chelyabinsk.ru/Associated Press). 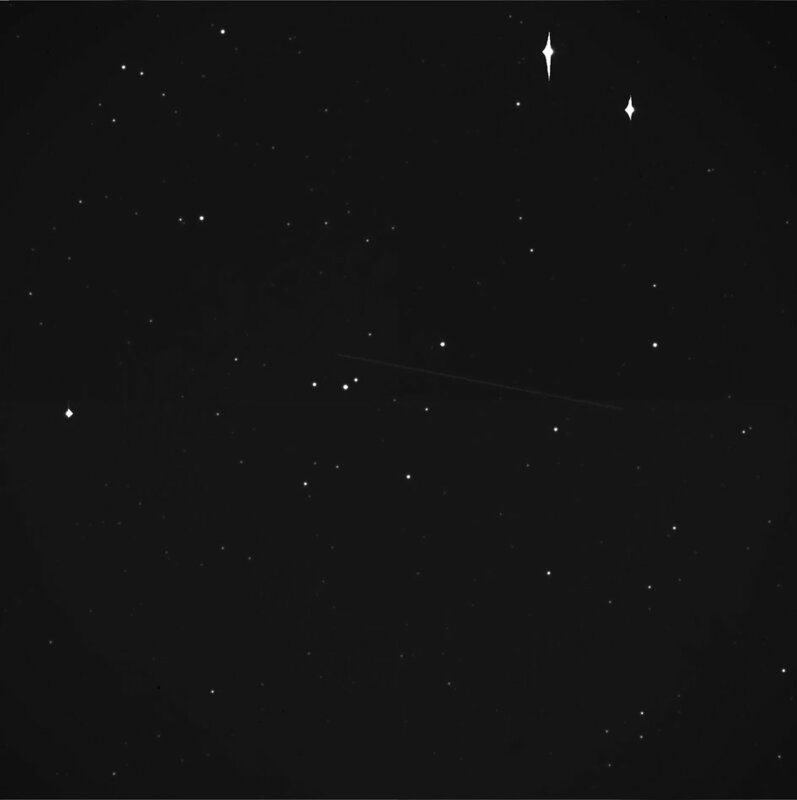 February 15 was expected to bear witness to a historically close asteroid passage; it just wasn’t expected to see one come crashing down to the surface. In the morning hours of February 15, the city of Chelyabinsk and the surrounding Ural region of Russia came to a screeching halt as residents saw a streaking projectile – clearly too close for safety – stretch across their sky around 9:20 am local time. Many thought the projectile was a missile strike, even a nuclear missile. It would later turn out that the force of the shockwave was equivalent to a nuclear detonation; it set off car alarms, shattered windows, and blew off doors for kilometers around. The moment of impact was accompanied by an unnaturally bright white flash of light that washed out all surroundings. The incident was over in moments, but it would be hours before anyone could put together a complete picture of the event and its consequences. 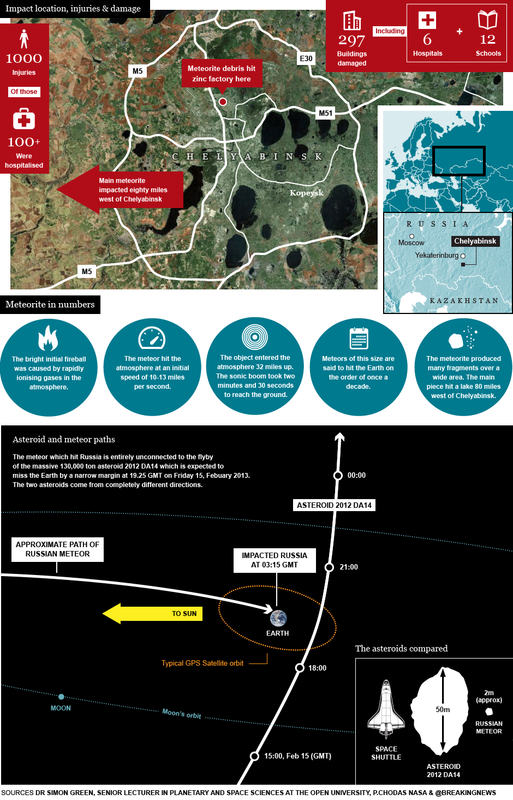 We now know that a 10-15 m diameter, 10 ton meteor entered Earth’s atmosphere at 30 km/s. It exploded around 14-20 km above the surface, but at least two fragments large enough to form impact craters reached the ground. The explosion was the worst in a century, although a meteor of similar size crash lands about once a decade, usually in the ocean. 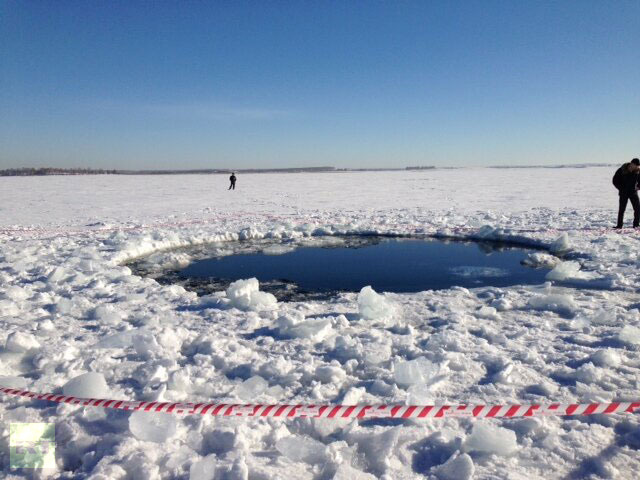 The hole in Lake Chebarkul formed by a meteorite fragment (Credits: Andrey Orlov/RT). The fireball and its aftermath were captured in dashcams across the city, providing spectacular views of the fireball from every angle and lending much of the world insight into the Russian driving culture that makes such dashcams ubiquitous. Initial speculation that military airstrikes contributed to the event, perhaps in the form of attempting to shoot down the incoming meteor, were debunked fairly rapidly. Without doubt, the meteor caused more injuries than any known predecessor, with about 1200 individuals reporting some level of damage – primarily from glass shattered by the shockwave – and two individuals in serious condition, with 43 individuals hospitalized. It is fortunate that more people were not severely injured, especially because 93 hospitals and 154 clinics were damaged in the event. Damage has been estimated at $33 million. Chelyabinsk immediately sold out of plastic wrap as residents tried to keep out the winter air that dips to -14°C at night. Correlations have been drawn between what is being called the Russian Meteor and the 1908 Tunguska meteor that exploded above Siberia, flattening a forest. That incident, while rather astounding in its magnitude, occurred in an uninhabitted region; other than 2100 square kilometers of demolished woodlands, there were no injuries. Even closer to home for Chelyabinsk residents was a 1949 meteor Kinashak that landed in the same city. That was a smaller rock, with just 200 kg of debris located, and injured no one. Interestingly, some of Kinashak fell in Lake Chebarkul where the Russian Meteor also left its mark. Asteroid 2012 DA14 streaks away from Earth just after its closest approach (Credits: ESA/Instituto de Astrofísica de Canarias/Iciar Montilla, Julio Castro, Alfred Rosenberg). 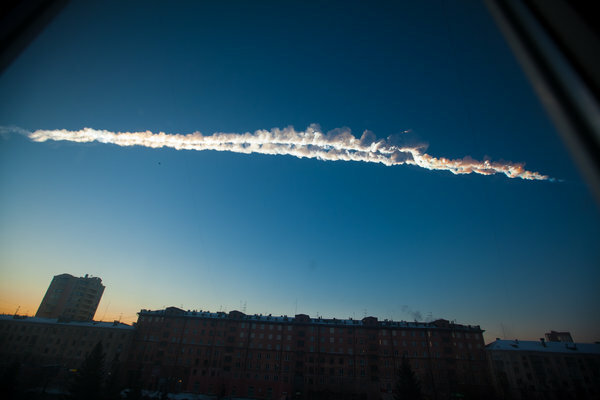 Although experts quickly made clear that the Russian Meteor was completely unrelated to Asteroid 2012 DA14, the juxtaposition of the two events was enough to spark calls for increased investment in monitoring of near Earth space. Even additional investment, however, is unlikely to significantly improve prediction capability of small meteors like this one, particularly when they enter day-side and are of dark coloration, as was the case here. By the time Asteroid 2012 DA14 came around, the much anticipated event almost felt like a let down. As anticipated, the asteroid passed within the ring of Earth’s geosynchronous satellites at 27,000 km, colliding with neither satellites nor the planet below. Observatories worldwide pointed their lenses at the asteroid – which turned out to be rather tricky due to the speed of the body. Substantial data was gathered using radar and optical telescopes that should help predict DA14’s next close approach in 2080. While Chelyabinsk puts itself back together, it can expect a deluge of meteorite hunters to descend, looking for valuable rocks to sell or collect. The Russian Meteor is thought to be a non-iron based chondrite which is fairly common and not terribly valuable, but that won’t be confirmed until some fragments are actually found and analyzed. Over the next few days, particles from the streaking meteor will rain out of the atmosphere; there are not thought to be significant pollutants involved, but scientists won’t know for certain until meteorite samples are found. In the meantime, scientists will be studying the data from both of the February 15 asteroid events, hoping to draw up better models to predict future near Earth object events. And just maybe they’ll get a boost from politicians who may have finally realized the dangers inherent in living on a rotating sphere in outer space. Great article, I have to admit I find this story really scary…. Has anyone already estimated where did it come from? I mean if an unnoticed object can create an explosion similar to that of an nuclear bomb…. than God help us…..
Hopefully it has scared our politicians as well. We need more resources in this area! So far, I have only seen amateur trajectory maps (like this one), but I expect to start seeing more professional assessments soon.